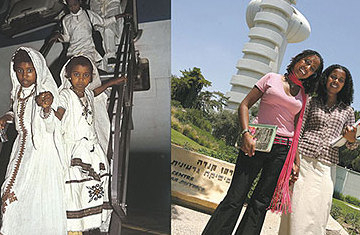 Analyze This: Last Ethiopian Immigrants to Israel? The announcement by the Jewish Agency that the age of Ethiopian aliya is now ended with the last official airlift of olim from that nation on Tuesday should not be taken too literally. Even the JA admits that among the some 9,000 remaining Falash Mura still hoping to immigrate, about 1,500 might yet qualify on grounds of family reunification or for other reasons. This issue will probably work itself out in the coming years with some kind of compromise over the last Falash Mura in Ethiopia, possibly with final passage of a Knesset bill designed to ease their immigration here. Read more at The Jerusalem Post.